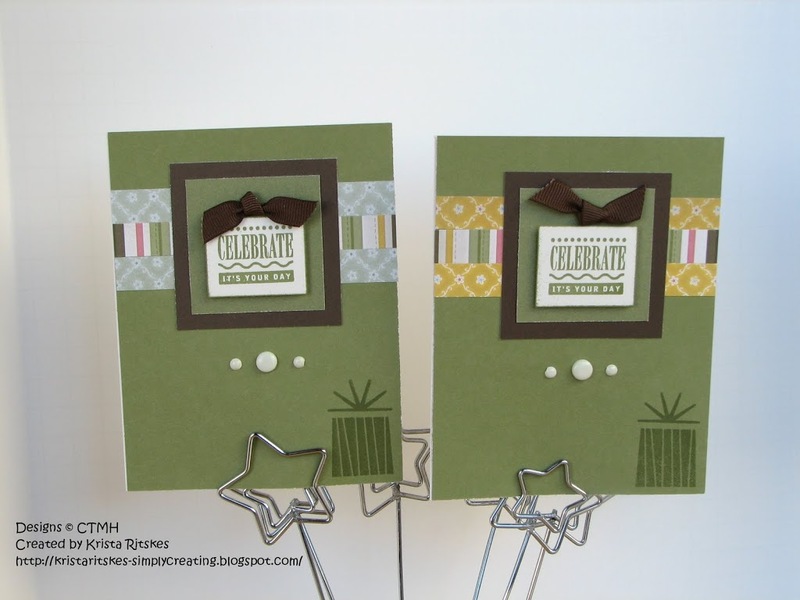 I made these cards a few months ago for a workshop. It was so easy to follow the instructions in Wishes, using the Just Because workshop. 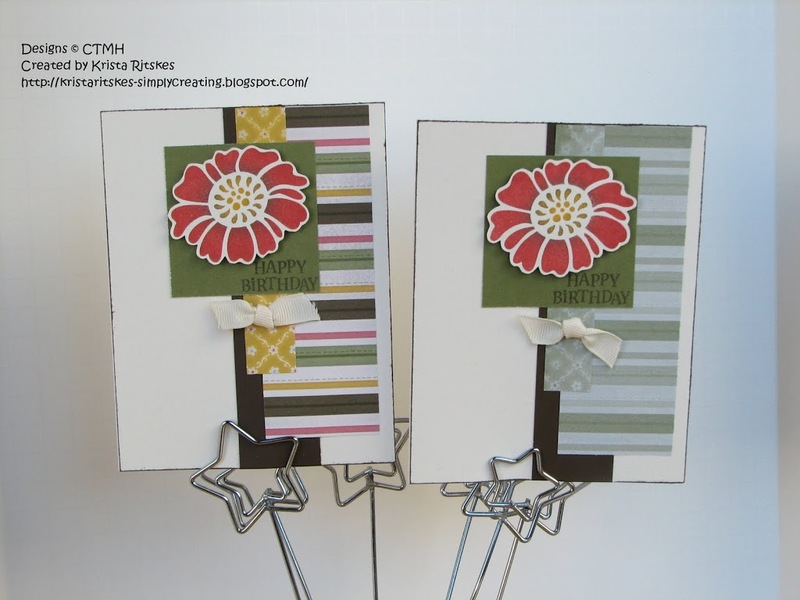 The workshop shows you how to cut just a few sheets of patterned paper and cardstock to create 20 cards. 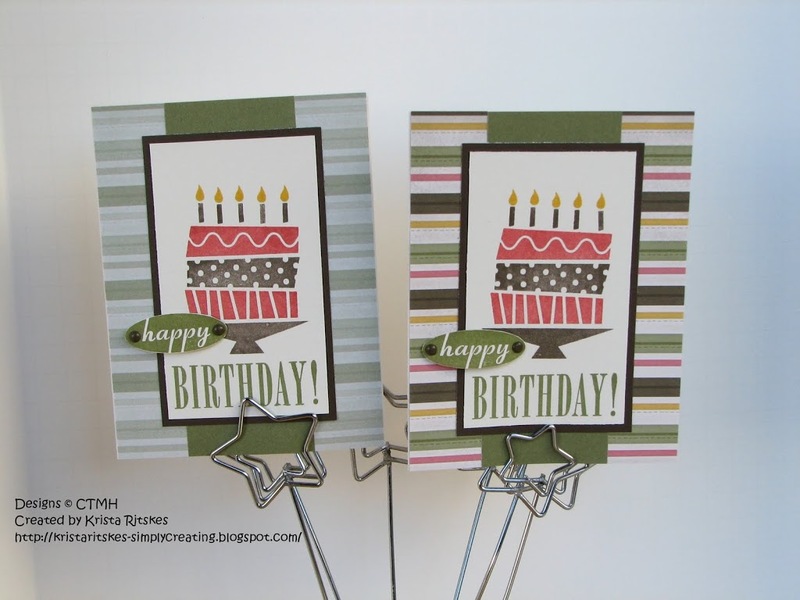 2 each of 10 designs. 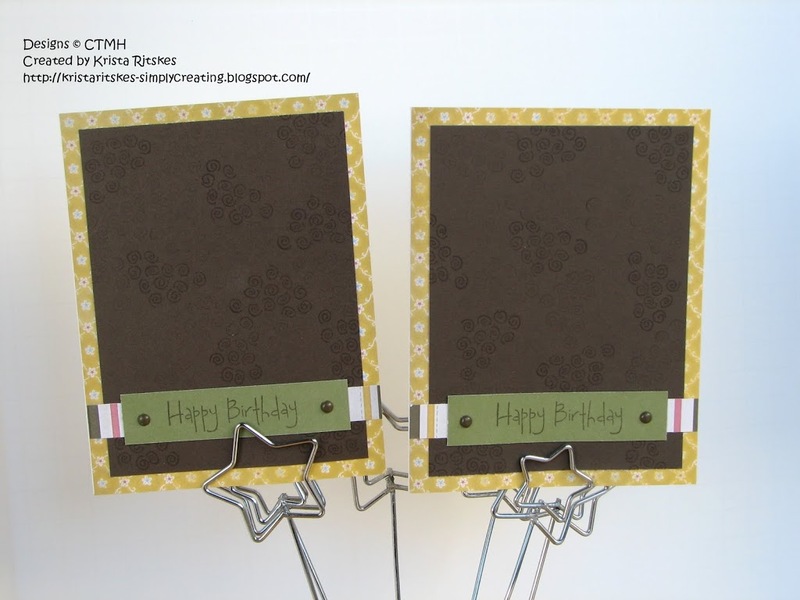 Then it gives you the layout and instructions for each card and a completed example for inspiration. I was going for quick, simple stamping, and easy to mail. I can’t even tell you all the stamp sets I used! 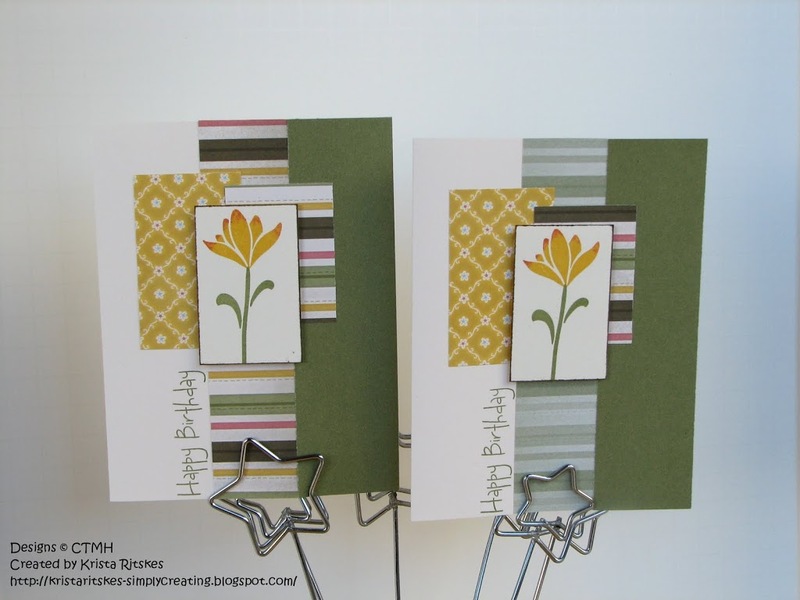 I did each card two different ways using the same paper, just to show off the versatility of our papers. There are a few brads and some foam tape and ribbon, but that’s it for embellishments. 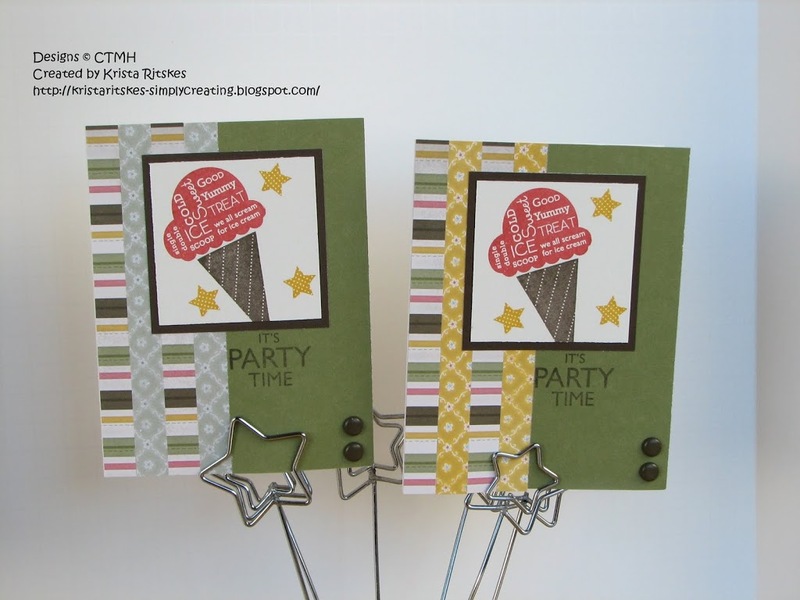 I’m offering some blog candy with these cards. If you can tell me what one stamp set I used on the first four cards, I’ll send you one of them. Just comment or email me, but do it quick because this offer ends on Wednesday! Great cards, I will have to try that workshop. 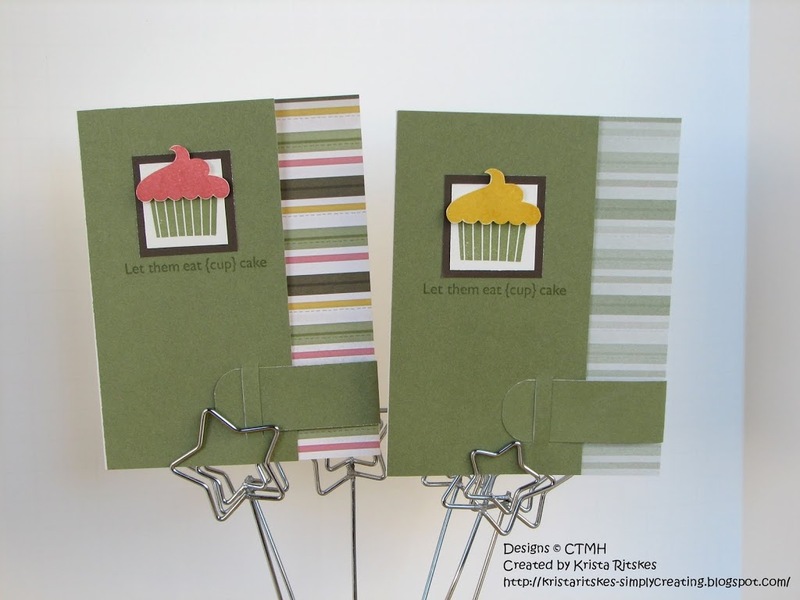 The stamp set you used on the first card is Cupcake sprinkles, pretty set. 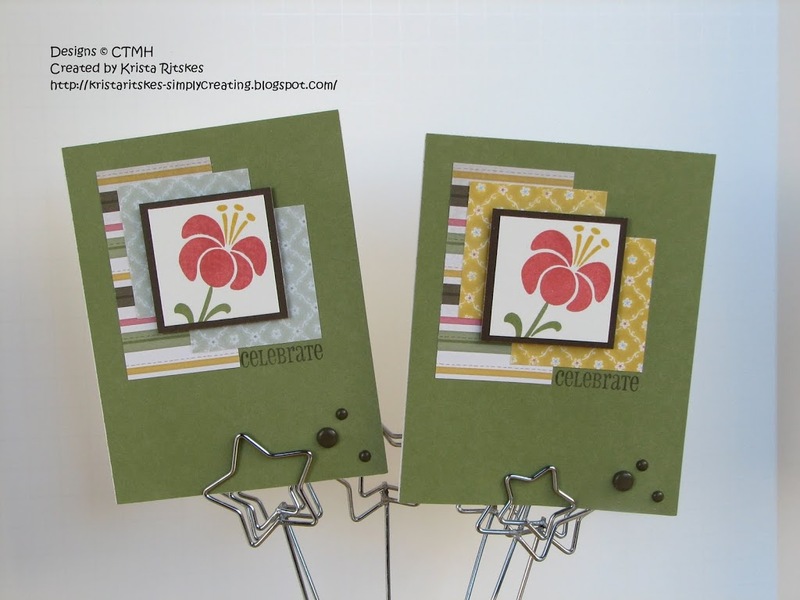 The flowers on the next three cards are from the Dreams come true set. 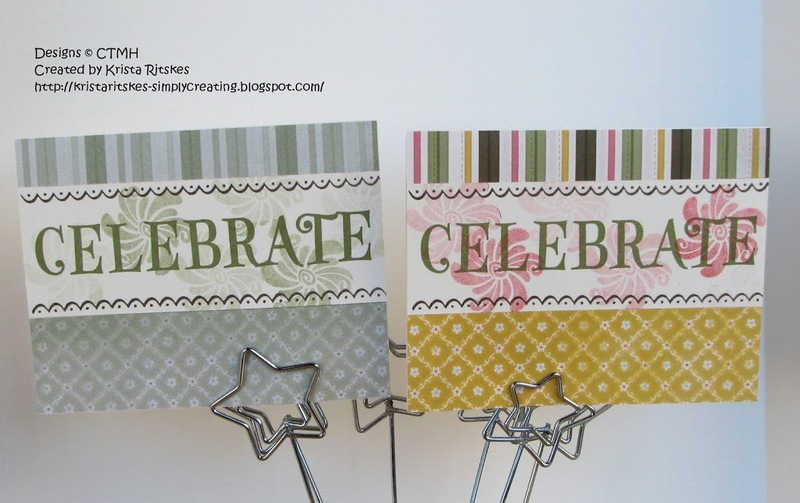 hmm just re-read the challenge and have to figure out what one stamp set, and now I am thinking about it, it is the Dreams come true set.